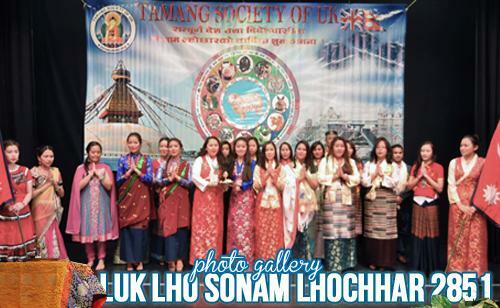 Tamang Society of the United Kingdom is a charitable and non profit organisation devoted to look after the social, religious and cultural affairs. 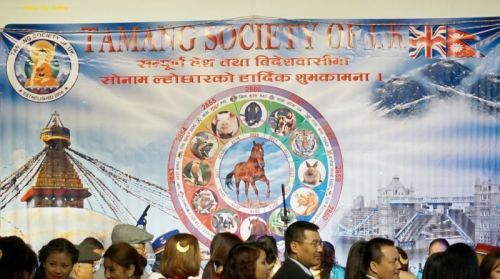 The growing number of Tamangs residing in the UK over the last couple of years necessitated the formation of this Society in order to communicate and share the language, culture, religion and traditions. 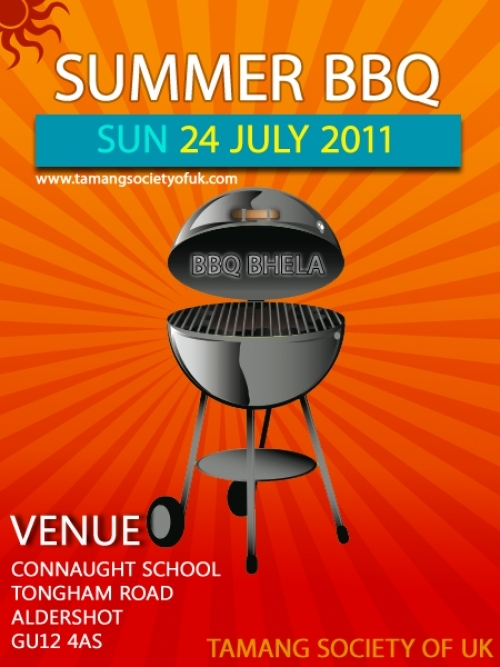 All our members, families and friends are cordially invited. 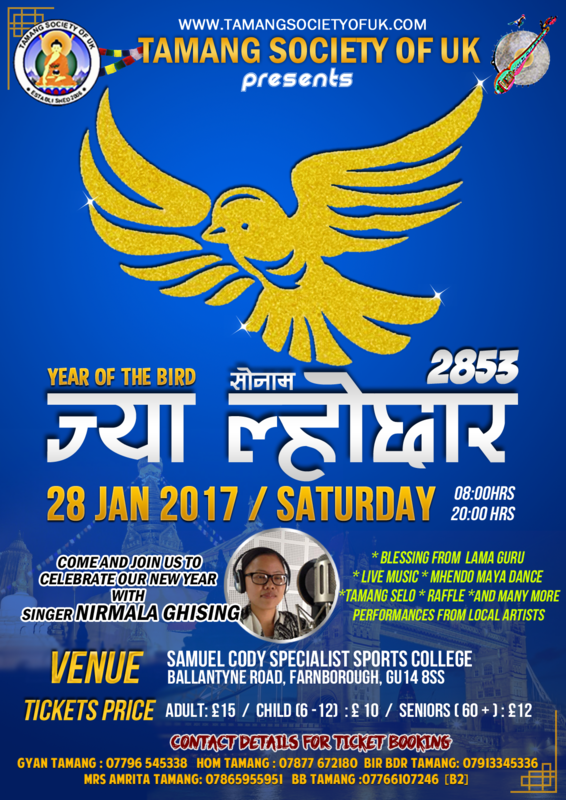 We Tamang Society of UK(TSOUK) would like to inform you all that TSOUK will be celebrating JYAA (ज्या) LHOCHHAR 2853(YEAR OF THE BIRD) on Saturday 28th January 2017 at Samuel Cody Sports Specialist College , Farnborough. 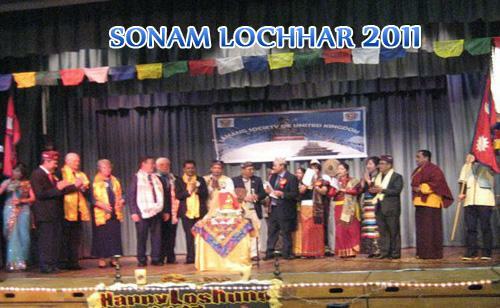 So All of you including your families, friends and relatives are kindly invited on JYAA LHOCHHAR 2853(YEAR OF THE BIRD) to celebrate together. 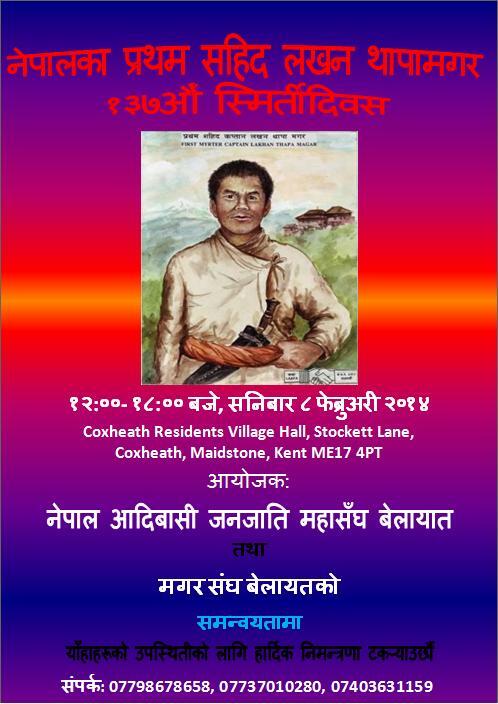 This year also Tamang Society of UK(TSOUK) proudly presents famous singer NIRMALA GHISING from Nepal with her Hit songs to join us at ज्या सोनम ल्होछार २०५३. 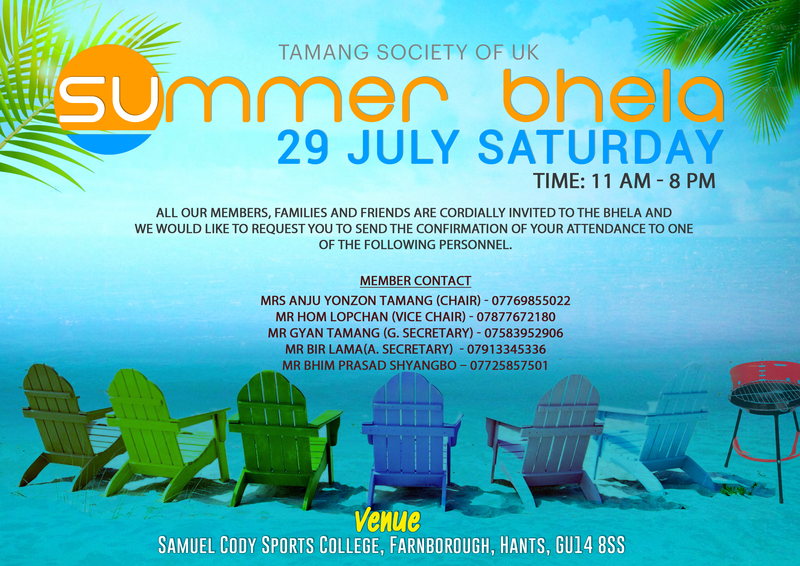 All our members, families and friends are cordially invited to the Bhela and we would like to request you to send the confirmation of your attendance to one of the following personnel. 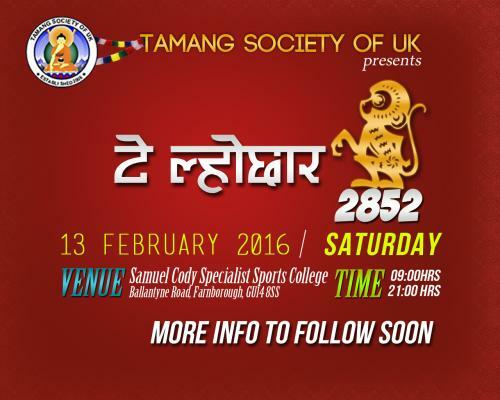 We Tamang Society of UK(TSOUK) would like to inform you all that TSOUK will be celebrating TYE LHOCHHAR 2852(YEAR OF MONKEY) on Saturday 13th February 2016 at Samuel Cody Sports Specialist College , Farnborough. So All of you including your families, friends and relatives are kindly invited on TYE LHOCHHAR 2852(YEAR OF MONKEY) to celebrate together. 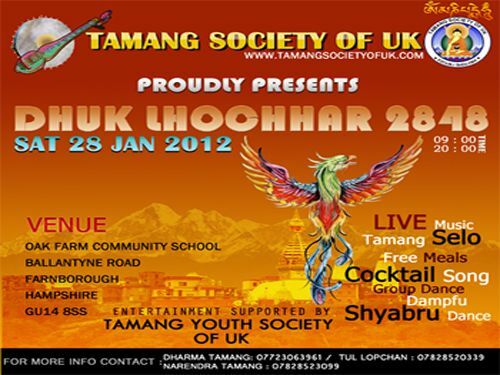 This year also Tamang Society of UK(TSOUK) proudly presents famous singer ( MINA LAMA, HARI YONJAN, Kumari Gurung & Ganesh Gurung) from Nepal with their Hit songs to join us at TYE LHOCHHAR 2852. 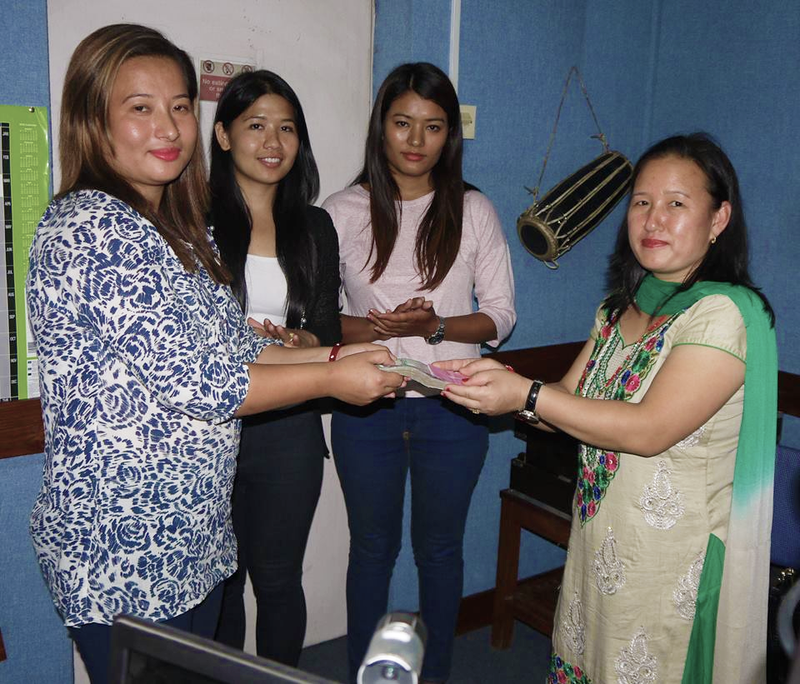 On behalf of Tamang Society of UK, Mrs Jas Kumari Tamang handed over altogether 5,25,417.45 Rupees to Kranti Yonjan, raised by society to help two Schools, Shrijana Sewa Nimna Madhyamik Bidhyalaya & Shree Setidevi Madhyamik Bidhyalaya at Sindhupalchowk. 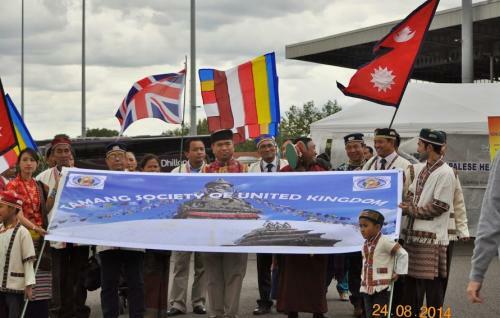 The donation handing over program was on air through BFBS Gurkha Radio Kathmandu Nepal on 10th July 2015. 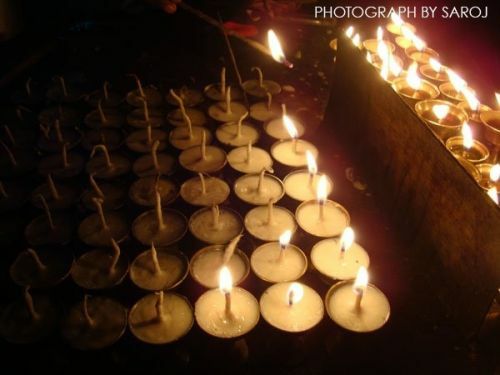 Following recent devastating earthquake in Nepal, Tamang Society of UK is raising money for disaster relief. 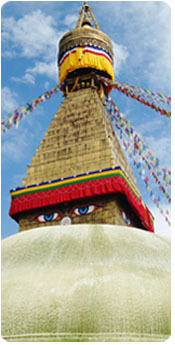 Any contribution is welcome. 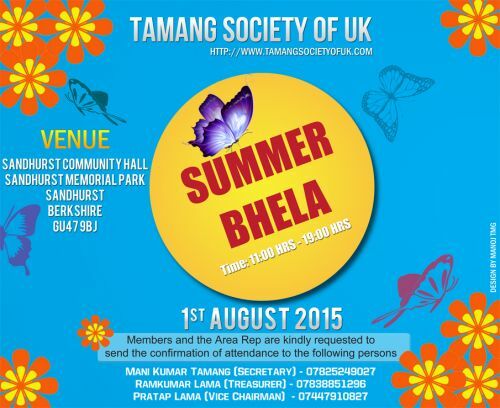 Please contact our Chairman Mr. Dhan Lama on 07868 320745 or General Secretary Mr. Deuraj Tamang on 07766296740. What would you rate this new website? Copyright © 2017 Tamang Society Of UK. 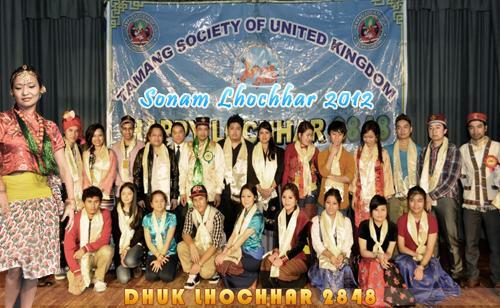 Chairperson Mrs Anju Yonzon Tamang’s (Sonam Lhochhar 2855) Message !